Strawberries are also a good source of vitamin C, beta-carotene potassium, calcium and iron. With their cleansing values they are good for eliminative diets too. 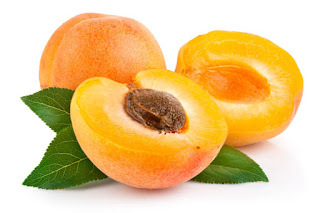 They are very high in sodium, it helps keep you youthful, and their content in potassium is also good for the skin. Potassium and iron helps to strengthen the blood. The high levels of beta-carotene and vitamin C helps to keep of colds and fights infections and to prevent cancer and heart disease. Peaches are a good source of beta-carotene. 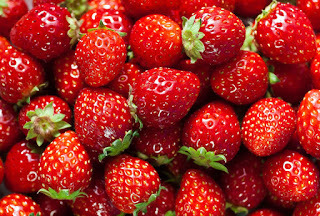 They also contain vitamin C some of the B vitamins and minerals such as calcium, iron, phosphorus, potassium and sodium. 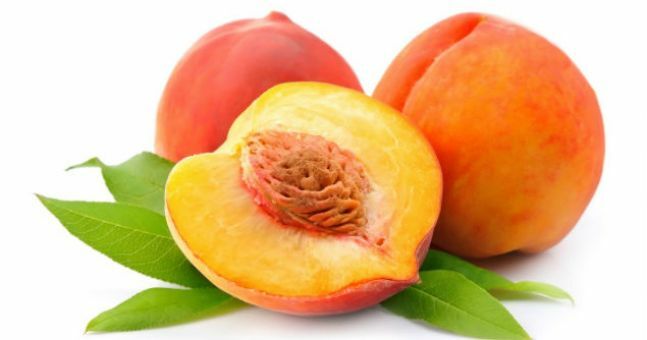 Peach juice is wonderful for alkalinising and cleanses the intestinal tract and encourages good bowel movement. Drinking pear juice will improve your skin and eyesight and help prevent against cancer and heart disease. Apricots are exceptionally high in beta-carotene compared with all the other fruits; therefore they stand out as cancer fighters. They can help prevent cancer of the lung, oesophagus, stomach, bladder and throat, and their high Vitamin C also protects against colds and flu. 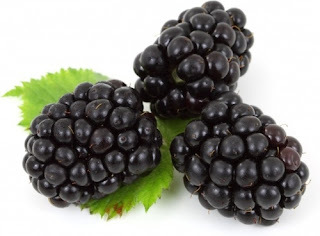 Blackberries, a rich source of vitamin C with good amounts of beta-carotene, B vitamins, vitamin E, and the minerals potassium, calcium and magnesium, which makes them invaluable in cases of heart disease, cancer and high blood pressure and premenstrual tension. Blackberries also have a high iron content, which makes them one of the finest blood builders. Mixes well with prunes. Cranberry juice is used for its healing properties as a natural diuretic and urinary tract cleanser. 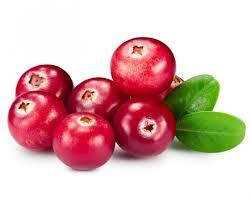 Cranberries are a source of vitamin C, beta-carotene, quinine, iron and potassium. The quinine helps to maintain the health of the bladder, kidneys and prostate and has been found effective in preventing prostate cancer. The high vitamin C and beta-carotene content helps ward of colds and flu in the winter months. 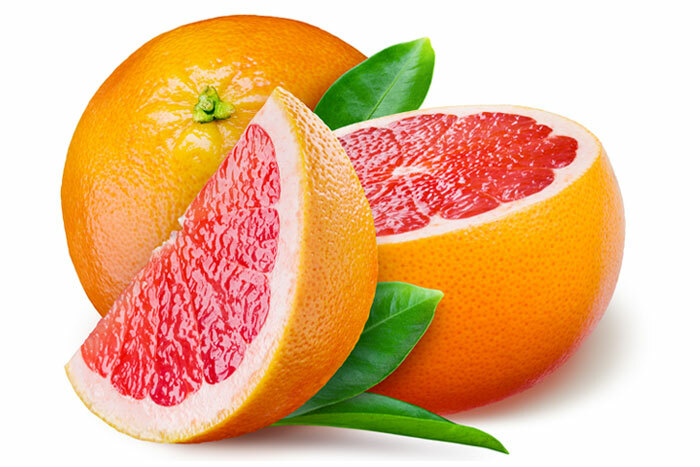 Grapefruit belongs to the citrus family, which includes lemons, oranges, limes, tangerines, clementines and sultanas. Grapefruit is also high in vitamin C are good for warding of colds, and helps prevent bleeding gums. Grapefruits are also a good source of beta-carotene, phosphorus, calcium and potassium. High levels of pectin are found in the white pith. It's known for controlling cholesterol levels and helping with digestive problems. 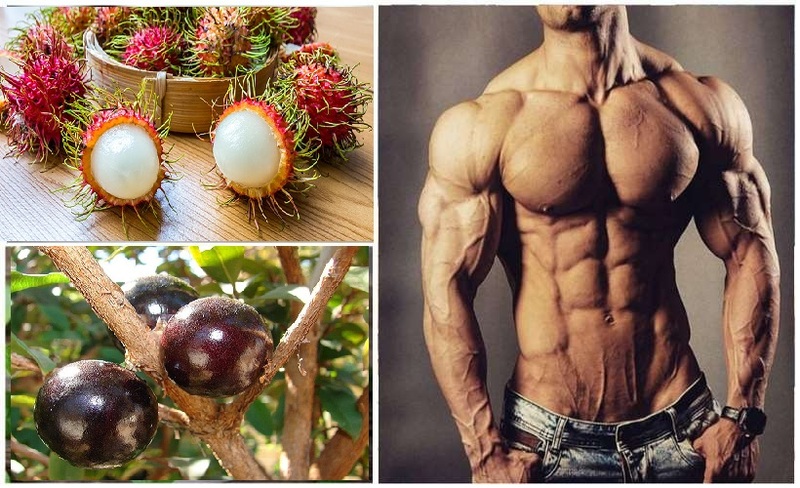 Bioflovanoids are also found in the pith and have a protective effect on vitamin C anti-inflammatory properties and protect blood vessel capillaries. Prunes are a variety of dried plums and are widely used as a natural laxative. 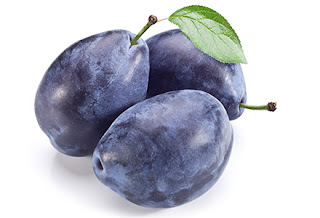 Prune juice is just as potent as the whole fruit and a much healthier way to treat constipation than using synthetic laxatives. 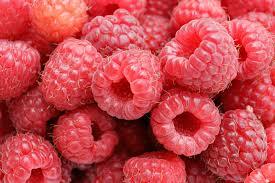 Raspberries are good cleansers especially of mucous and catarrhal conditions. They are natural astringents and can help sort out stomach problems and gum disease Raspberries are high in vitamin A and C and provide useful amounts of potassium, calcium and magnesium, which make them invaluable in cases of heart problems, fatigue or depression. A raspberry juice cocktail before meals stimulates the appetite and aids digestion. The one thing that distinguishes papaya from the other fruit is its amazing digestive properties. 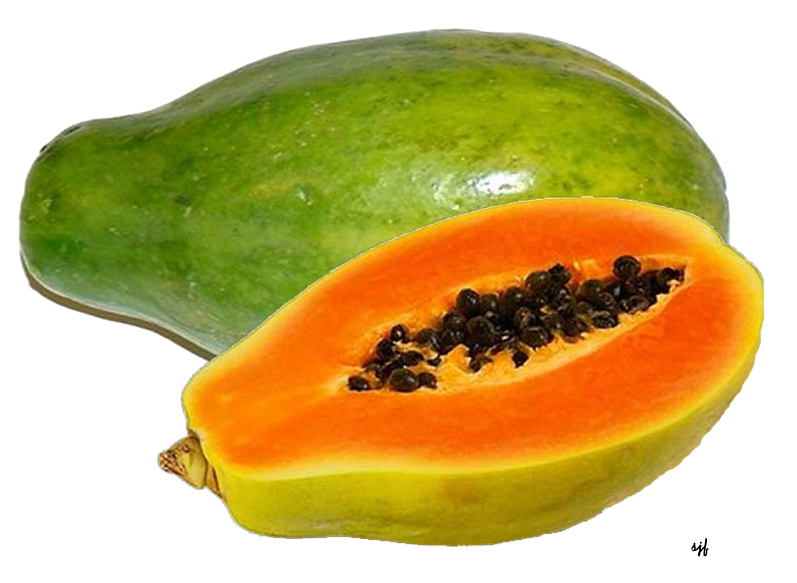 Papayas are rich in papain, a protein- digesting enzyme, which is so effective that it is used in meat tenderisers and digestant. It's good for stomach ulcers and fevers and many people believe papayas are a great rejuvenator, combating premature ageing. Also they have the ability to restore a healthy balance of intestinal bacteria, after the use of antibiotics. It makes an effective laxative and cleanser to the liver, kidneys and intestines and has the ability to dissolve excess mucus in the body. Melons belong to the same family as cucumbers. They both have a cooling effect on the body. Melons are an excellent fruit for juicing because of their high water content, which makes them first class diuretic, and good kidney cleanser and skin purifier. As in many other fruit and vegetables most of the nutrient lie in the flesh right next to the skin, so be careful not to lose this part when peeling. There are many varieties of melons to choose from including cantaloupe, honeydew, galia and watermelon. Cantaloupes are the most nutritious and are high in beta-carotene, vitamin C and digestive enzymes. They are highly recommended by the American Cancer Society as a healthful agent against intestinal cancer. 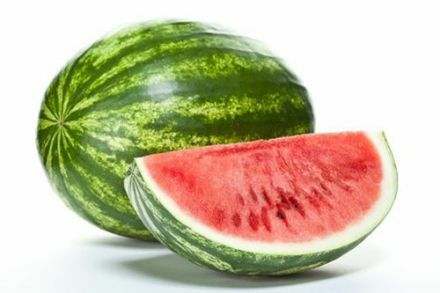 Watermelons have the highest water content and are great natural diuretics as well as being packed with skin-enriching minerals such as zinc and potassium. Melons should be eaten alone or on an empty stomach as it ferments very quickly in the stomach.